Looking gently at the Kathmandu Valley on the south side of the Bagmati River is the third largest city of Nepal, Lalitpur! 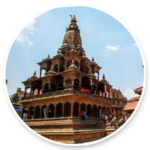 Popularly known as Patan in Sanskrit and Yala in Nepali language in ancient times, this city is represented by its rich cultural heritage, specifically the tradition of art and crafts, which give it the name: City of Festivals and Feasts, Fine Ancient Art, Metallic Making and Stone-Statue Carving! Lalitpur is spread across an area of 15.43 sq.km and is made up of 29 municipalities and is currently home to over 226,728 people living in more than 54, 748 households. This Nepali city experiences a humid subtropical climate. The Bagmati River separates the city of Lalitpur from Kathmandu on the northern and western sides. Lalitpur was built on the thin layers of deposited clay and gravel in the midst of the erstwhile Nagdaha lake. The city’s establishment dates back to the 3rd century BC and is credited to the Kirat dynasty. 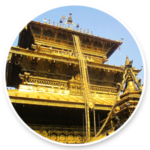 Newari people identify Lalitpur with the name Yala derived from the name Yalamber, the then ruler of the Kirat dynasty. 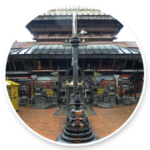 Although there are many legends surrounding its name, the most famous one is that of Lord Rato Machhindranath. It is believed that a group of three people representing the three kingdoms of Kathmandu Valley set out to bring Lord Rato Machhindranath from Kamaru Kamakhya, Assam to get rid of the drought that befell the valley. One of them named Lalit, a farmer carried the God of rain, all the way back to the Valley. Due to his efforts, Rato Machhindranath got settled in Lalitpur. Hence, the name Lalitpur inspired by the great farmer Lalit. The establishment is situated at the center of Lalitpur and is one of the three durbar squares that Kathmandu Valley owns. It houses the ancient royal palace that was the home to Malla kings and some famous temples including Krishna Mandir. Built in Srikhara style, the temple is characterized by pillars with stone carvings that narrate the events of Mahabharata and Ramayana. This temple was built by King Siddhi Narasimha Malla. There are 21 golden pinnacles and the shrines of Lord Krishna, Radha and Rukmini. This temple was built in 1680 by Srinivasa Malla and is devoted to Bhimsen, one of the heroes of the epic Mahabharata. Newari people worship him as a God of Business and Trade. The three interconnected golden windows are its main attractions. The temple is an ancient Buddhist monastery and has witnessed major coronation ceremonies that are in practice till date. The temple is famous for its walls and altars adorned with statues and bronze pieces inside and on top of the temple. 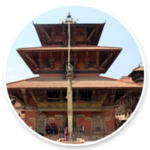 This 12th century Buddhist structure is situated on the north of Durbar Square. The temple received its name due to the gilded metal plates that cover most of its front part. Statues of Shakyamuni, Green Tara and Bodhisattva Vajrasattva are worshiped and honored in this temple. Originally the residence of the Malla kings, the Royal Palace houses one among the finest collections of religious arts in Asia. 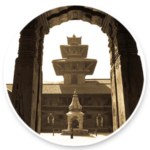 The museum is a national treasure and an invaluable contribution to the art and architecture of the Kathmandu Valley. 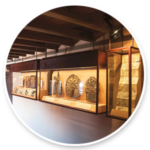 The collection of statues and artifacts are displayed in brick and timber rooms. 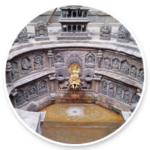 Located south of Mul Chowk is the Sundari Chowk is comparatively a smaller structure but an architectural wonder constructed around a well-carved sunken water tank popularly known as Tusha Hiti. The tank was built in 1647 and is adorned with 72 carved-stone plaques depicting tantric deities. The traditional gateway that connects Sundari Chowk to Durbar Square features three magnificent statues of Hanuman, Ganesh and Vishnu’s Narsingha Avatar. Located south of Patan Museum is the gateway that leads to the largest and oldest chowk, Mul Chowk. The original buildings were destroyed in a fire in 1662. The center of the square houses a small Bidyapith temple. The Central Zoo in Jawalakhel is spread across 6 hectares of land and houses more than 870 animals in 109 species. It was established by Rana Minister Juddha Shumsher in 1932. 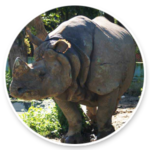 Since then, this zoo was privately owned and began welcoming public only in 1956. Currently, it is run by the Nepal National Trust of Nature Conservation (NTNC). 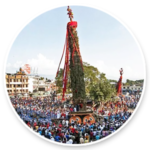 One of the most grandly-celebrated festivals in Lalitpur is the Rato Machhindranath Jatra. It is a glorious sight to see thousands of people walk in procession with the statue of Lord Machhindranath placed in a beautifully decorated chariot.As old as 1600 years, the month-long festival begins at the end of Baisakh. The people revere the God of rain for his virtue of ridding the city of drought. 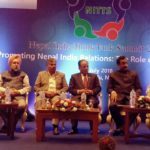 End to Outbound Healthcare: In his address to a program held in B&B Hospital in Lalitpur, Deputy Prime Minister Upendra Yadav said that people will no more be forced to go abroad for medical treatment. He persuaded the government and private hospitals to ensure provision of quality healthcare services at affordable costs in the city. 8th South Asian Judo Championship: The prestigious event was held in Lalitpur on the April 21, 2018. India’s L Sushila Devi clenched the gold medal after she defeated Pakistan’s Humaira Ashiq in Pakistan. In the Men’s category, Nepal won a gold medal. A total 102 players participated in the 8th episode of the South Asian Judo Championship. Coffee Symposium: A one-day coffee symposium was organized in Lalitpur to promote Nepali specialty coffee in the domestic and international market. The event brought together diverse stakeholders including small-holder coffee farmers, processors, entrepreneurs and representatives of government agencies to debate, and discuss the ways for promoting this Nepali specialty. The city of Lalitpur with its old-world charm has an appeal of its own. 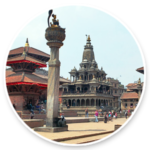 Its charm adds to Nepal’s heritage and helps Nepal establish itself as a country, which is deeply rooted in its cultural values.